Once again, Southeast Portland's Melody Ballroom was the venue for the Duniway Foundation annual dinner auction gala, held Friday evening, March 8. "Our theme this year is 'Prom'; and it came about when our committee gathered at 'Relish Gastropub' in Westmoreland and bounced ideas off one another – and this one seemed great," said Co-Chair Trisha Highland. "In promoting it, we published old prom pictures for ourselves, and invited the community to get involved in this really festive and fun evening. "By the way, this is our 20th annual Dunaway Auction that we're celebrating this evening," the other Co-Chair, Betsy Roberts, told THE BEE. "70% of the funds raised by the auction helps the foundation fund classroom teaching and assistant positions not funded by Portland Public Schools. "In addition to helping reduce class sizes, we're able to bring in new classes, such as a pilot STEM scientist-in-residence program." During the silent auction, which was held in the Melody Ballroom's "Wine Vault", servers passed appetizers of Thai Chicken Satay, Crostini with mushroom paté, and Endive with marinated bets and fennel, amongst the 300+ guests. "This being my sixth year at the school, it seems each year the auction gets better and better; our volunteers have really brought a great energy to it tonight," said Principal Matt Goldstein. "When I see all these community members coming together on behalf of our school, it's really amazing and encouraging – knowing that they are supporting our 514 students, and public education in general." After the attendees were ushered to the main ballroom, they enjoyed a "family style" meal of chicken with apricot Dijon glaze, stuffed Portobello mushrooms, potatoes with rosemary, and a seasonal vegetable medley. After dinner came the live auction, a "dessert dash", and dancing. 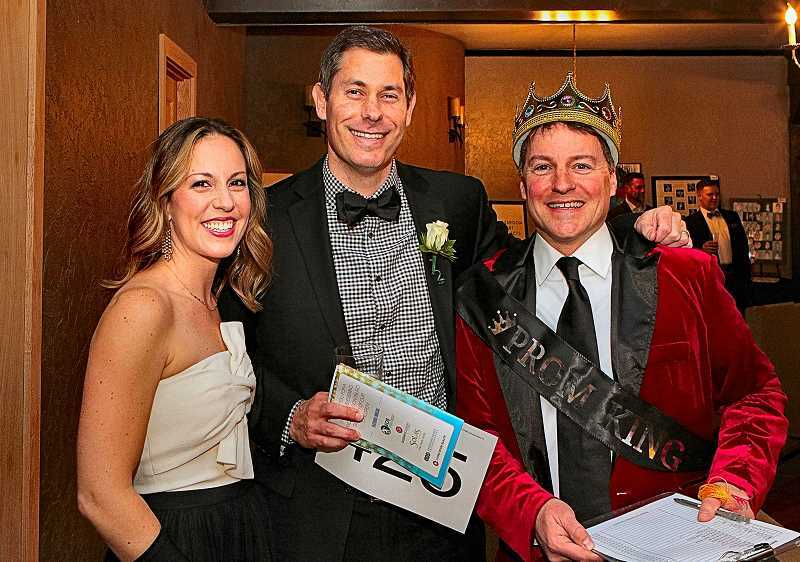 Through this year's "Duniway Prom" auction, the volunteers and participants raised about $150,000 in support of their neighborhood school.